I noticed Armchair BEA on other blogs, but until I visited your blog I didn't know what it was about. Thanks for your visit to my reading corner, today. I didn't know there was an Armchair BEA! I was so disappointed that I couldn't attend. I live in NY, but I'm 2 hours away and we just came back from vacation. I can't go :( I have to check out the Armchair BEA, though. I am glad you like the look of Eton Mess. It is so typically English! Thanks for the link and thanks for running a fab meme. Also thank you for being so understanding about my Life As We Know It Posts. How I'd love to be able to attend BEA - perhaps some day we will have something similar here in the UK. 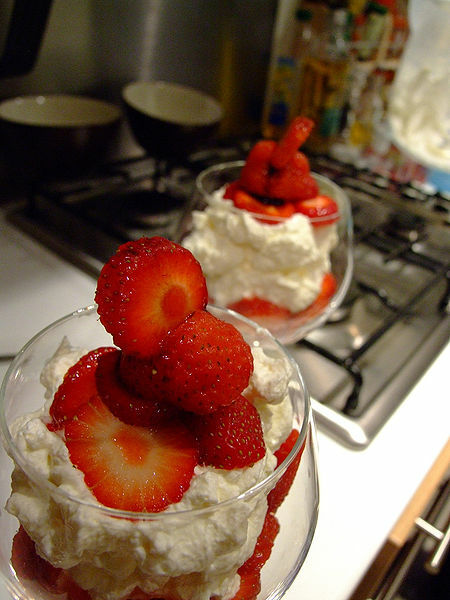 As for Eton Mess, my favourite, how you and Viviennt tempt me. By the way its Petty Witter - for some reason I'm unable to sign in on my google account. Oh my that Eton Mess looks fantastic! Thanks for posting this today! I'm not doing the Armchair BEA events as I thought it was too time consuming. I've tried visiting a few blogs participating though. Sarah, any help you can give me regarding button design would be greatly appreciated. Do I need PhotoShop? I don't have it. I used CoolText for my Really Random Tuesday logo. Thank you for all the great comments! More are of course welcomed. I want to go to BEA one year. That Eton Mess looks delish! Gosh, that looks so so good! I might have to make it this summer sometime. I saw, on a blip about Prince William, that he requested Eaton's Mess for one of his wedding parties. I believe the name came from how it was dropped once, upon being carried into the dining room, and this result is now favored. At least that's what the show said, but who ever knows for sure? I just know it sounds (and looks) delicious! I would love to learn how to design buttons as well. And headers for that matter :) I was going to participate more in Armchair BEA myself but never ended up doing it. I did participate in the Twitter party which was fun but crazy. Hope you had a great week! I couldn't make it to NYC either this year, but participating in Armchair BEA made staying in place fun. That dessert looks delicious. Now I'm off to find an ice cream cone. I dream to eat Eton mess for years ! I I'll try to "cook" one ! It's so beautiful !